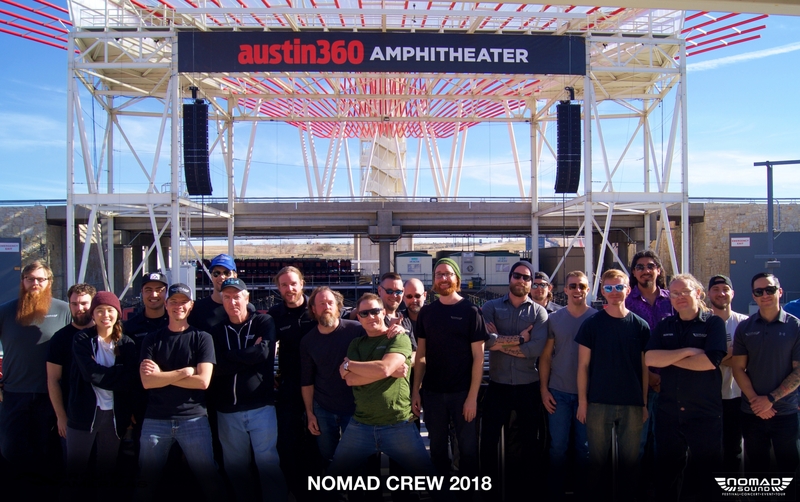 The Nomad Sound Team’s roots go back to social interactions in 1999, but the organization really began to take form in 2005, and has since grown in every imaginable direction. Nourished with opportunity in Austin’s acclaimed live music scene, our early business thrived while we simply pursued work with musicians we enjoyed and respected. Thankfully those musicians were equally as devoted to the pursuit of their craft as we were, and together we brought the night to life. We’ve built our reputation one show at a time, by collaborating with our clients to bring their events to life. We are ready to support your event with state-of-the-art equipment and knowledgeable team of audio professionals. We are serious about our relationships, and honor the relationship we build with our clients. We realize how difficult of a blessing it is to make a living in the arts, and our crew is a great mix of musicians, technicians, and fans – that are devoted to building your reputation, that of your artists, and our own.